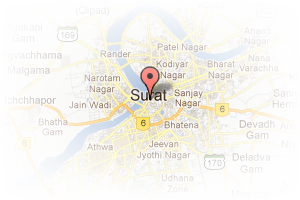 i am a realtor dealing in commercial residential properties in and surrounding surat city. my main areas of work include Vesu Adajan Althan Bhimrad Dumas. SPECIALISATION IN N.A AND NON N.A LANDS AND PLOTS. Address: Pal,ADAJAN,SURAT 394510, Vesu, Surat, Gujarat, India. This Broker Profile page for "Eshwar Realty" has been created by PropertyWala.com. 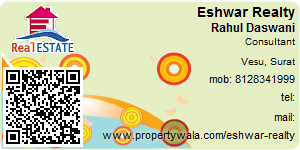 "Eshwar Realty" is not endorsed by or affiliated with PropertyWala.com. For questions regarding Broker Profiles on PropertyWala.com please contact us.